The program is about 'applying God's word to our lives, instead of just [having] knowledge of God's word,' Thiessen said. 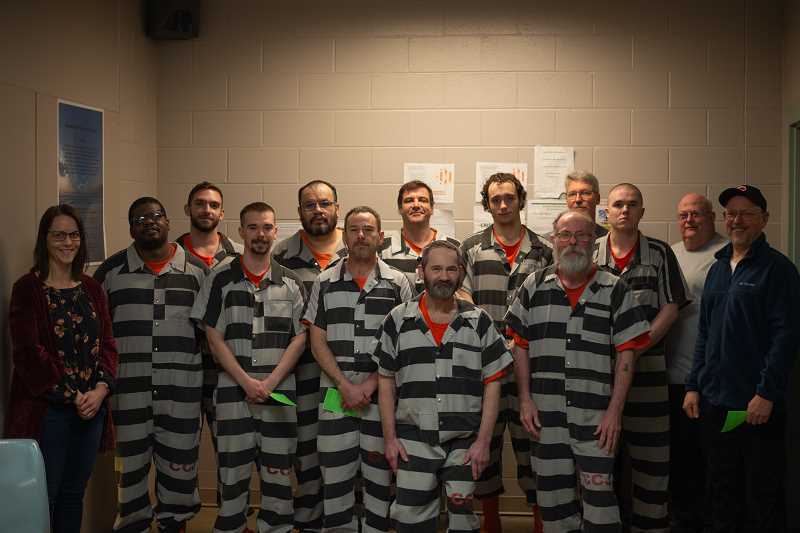 Each day, the men participating in the Columbia County Jail's Jeffrey M. Dickerson Life Lessons program bring their notebooks, Bibles and daily devotional booklets and gather around tables that make up their classroom. The men receive lessons on subjects like Bible study, parenting, marriage, financial management, living with mental illnesses and addictions, and stress management — all through a Christian lens. 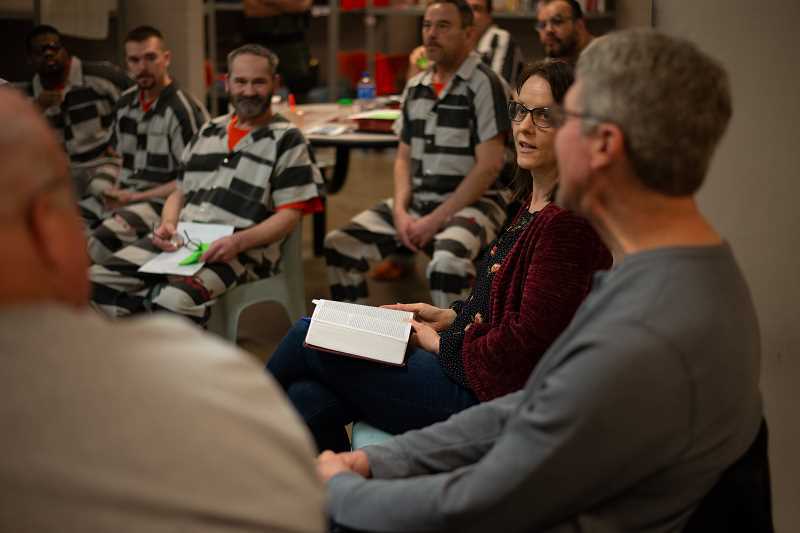 Often, the lessons show the participants "where they've gone wrong in the past, which they think is just the way life is," said Bob Thiessen, a retired jail commander who now leads the program. The program shows them "how life should be, how God expects it to be," and what their responsibilities are "as a man, a husband, a father, a responsible citizen," according to Thiessen. In fall 2017, when Sheriff Jeff Dickerson was still in office, he began approaching churches — including Grace Baptist Church, which Thiessen attends — to find ways to reduce recidivism, the tendency for inmates to re-offend upon release from incarceration. 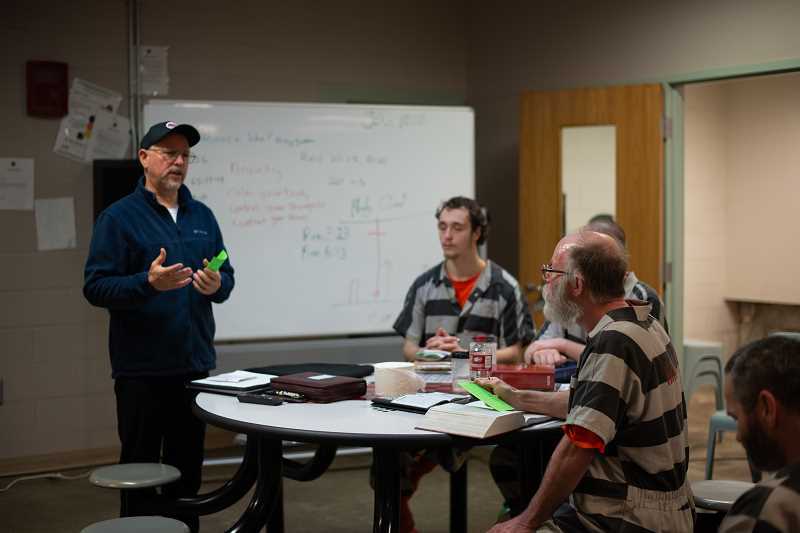 "I personally feel that God was orchestrating all these things," Thiessen said of his background in corrections and jail ministry intersecting with Dickerson's search for a faith-based program. The program is now on its fourth 10-week cycle. With 15 participants, all of whom live and attend classes in the K-Pod in the jail, it is the largest cycle yet. Twenty-two inmates graduated in the first three cycles. The program is about "applying God's word to our lives, instead of just [having] knowledge of God's word," Thiessen said. "From the very beginning, [inmates] understand that's what they're volunteering for." Participants can withdraw from the program at any time, but they can't pick and choose which parts they attend. Thiessen said reducing recidivism is not his top priority. "Our primary focus is not necessarily recidivism, it's what happens to them eternally," he said. "We don't base success on whether or not they commit another crime. We hope they don't. We try to give them the tools not to re-offend. But ultimately, a person does not lose their salvation if they commit another crime." Some participants have left the program early because they were released or transferred from the jail. Aside from those, only two people have dropped out, according to Capt. Tony Weaver, the jail commander. Last month, 16 inmates, including all four Life Lessons program participants at the time, chose to be baptized. Last year, 38 percent of Columbia County Jail inmates had a diagnosed mental illness, and Weaver estimates almost twice as many struggle with mental health or addiction. Jail officials are working to develop a similar program for women. The men's program is led by Thiessen and more than 40 volunteers from eight churches in Columbia County. In one discussion group session, participants joked, asked questions, and debated. They took turns reading aloud to the group. One inmate quietly translated for a participant who wasn't fluent in English. When someone pointed out that a paper Thiessen had handed out wrongly attributed a Bible verse, the group laughed as an inmate reassured Thiessen with another Bible verse: "For all have sinned and fall short of the glory of God," Romans 3:23. Not every inmate accepted the readings without hesitation. God "condemns only those who reject him," Thiessen said. But one inmate questioned the outright rejection of other faiths. "What is it about Christ that makes him more valid than any other God?" the participant asked. "You can't deny that somebody that believes in another God has faith. I mean, they certainly do have faith in their God." "I'm glad you asked that," Thiessen responded, starting a discussion on the responsibility of those who follow the teachings of Christianity. Looking at the inmates as they cleaned up after a session, program volunteer Brad Pyl turned reflective. "That was me 45 years ago," he said. Volunteering with the program has brought him full-circle, decades after his own jail stay.